What is Waco Pedal Tours? 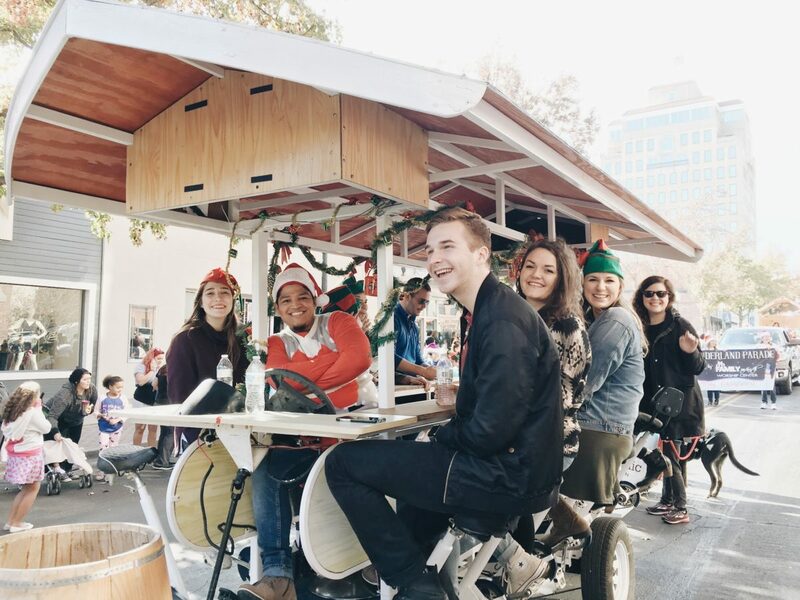 Waco Pedal Tours is a 14-person pedal bike party bus. Our u-shaped bar top provides a great communal, group activity for any locals or visitors to enjoy. You can join us on any of our daily tours or book your own private event at your own convenience. 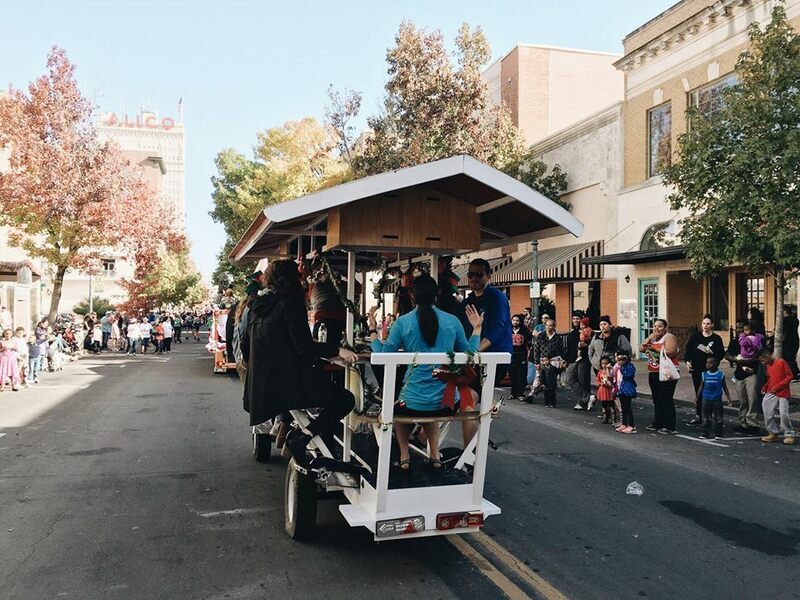 Riders comfortably pedal their way around downtown Waco with the help of “Captain Danny” at the helm to ensure an amazing and safe time while on the bike. Have some questions? Give us a call at 254-307-8489! Come join us on one of our daily public tours or book your own private event! The Daytime Bar Crawl tour is a fantastic way to see the downtown corridor. All tours are BYOB, no hard liquor, and no glass, as well as we will visit three local bars all around downtown Waco. Riders will additionally enjoy some of our favorite local treats, challenges, and landmarks along the way. This a great way to spend the afternoon and to learn about many of the newest developments and attractions coming to the city. Our Happy Hour tour is a great end of the workday and take off the edge of a hard day. Either out with your favorite co-workers, friends, family, or some random strangers, there's no better way to end the day. Sit back, relax and enjoy a cold drink and hot deals all around the downtown area. The Late Night Bar Crawl tour is another amazing experience exploring the budding downtown bar scene. 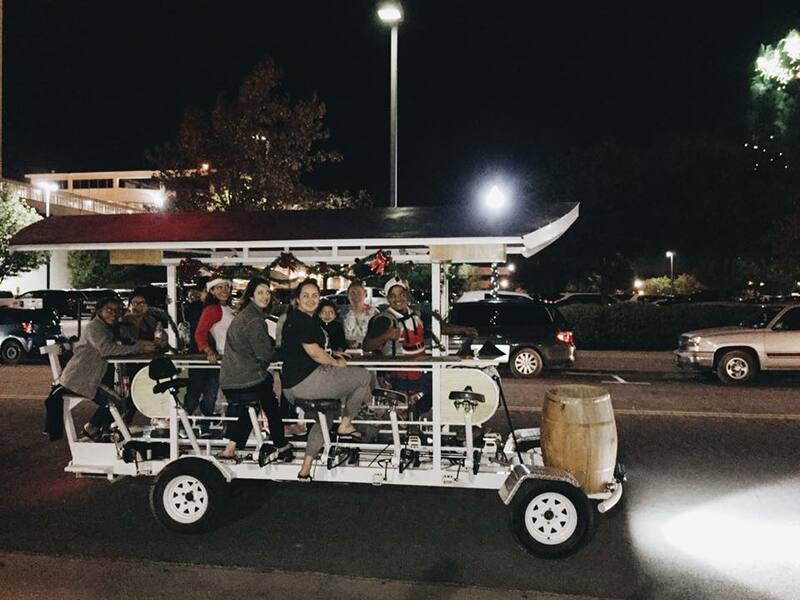 We visit three local bars and a place to eat as well as nearby famous sites, landmarks, and neighborhoods for riders enjoyment. Riders will also enjoy special deals and discounts available only to our guests throughout downtown. So much fun! Good people, and they’re so good at taking you to the best places in town. Must do in Waco! I LOVED the tours!! It was so much fun, we stopped for drinks, the driver “captain Danny” was hilarious and the overall experience was great! Definitely recommend this if you’re stopping in Waco!! This tour was so much fun!! As someone who has lived in Waco for 5 years, this tour let me see Waco from an entirely new perspective! Music selection was great, tour guide Danny was so hilarious and entertaining and the group we went with was also a blast! I highly recommend trying this experience out because you won’t regret it! I had so much fun! It was one of the best experiences and I highly recommend it to people that are visiting waco or even those that live there! I couldn’t stop smiling or laughing through the whole experience. Would definitely go again when I get back in town. Great activity to do with a group of friends. Danny is an amazing guide! He made the experience so much more fun! Definitely check it out if you have the chance to! We had SO MUCH FUN! Daniel, the tour guide, is hilarious! Listening to Christmas music, drinking hot chocolate and seeing the lights downtown was a blast and we will definitely make this a yearly tradition! I loved it! The tour was really fun and Captain Danny did an amazing job keeping us very entertained. Absolutely entertaining. Looking forward to doing this again with family and friends. I loved my time with Waco Pedal Tours! The guide was knowledgable and the perfect person to show us around. Would recommend to anyone! Waco's #1 favorite tour guide, Captain Danny is the talk of the town. He brings over 10 years of experience in the entertainment and tourism industry right to Waco everyday as captain of our bike. Cory is the co-founder of Waco Escape Rooms and the newly coming Nexus Gaming Center in downtown Waco. He graduated from Baylor and currently serves on the team at 1 Million Cups supporting young startups and entrepreneurs. Jake is the co-founder of Wacobound.com and previously worked at the Greater Waco Chamber as the Manager of Entrepreneurship & Innovation. He left the Chamber in 2017 to take this on full-time. © 2017 Waco Pedal Tours. All Rights Reserved.